MediTri is an app and Online website designed to streamline contacting your doctor, refilling prescriptions and checking up on your medical profile all at your fingertips. 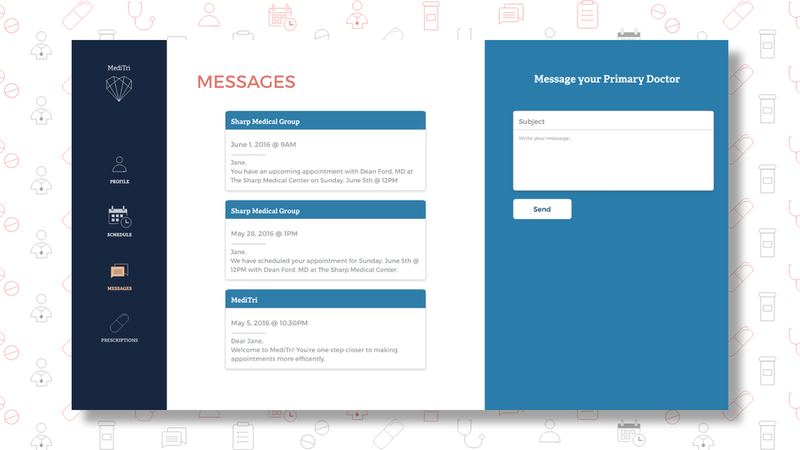 MediTri is a progressive web app that I created to make scheduling doctors appointments and organizing health information more efficient. MediTri is an app and Online website designed to streamline contacting your doctor, refilling prescriptions and checking up on your medical profile all at your fingertips. MediTri is a progressive web app created to make scheduling doctors appointments and organizing health information more efficient.